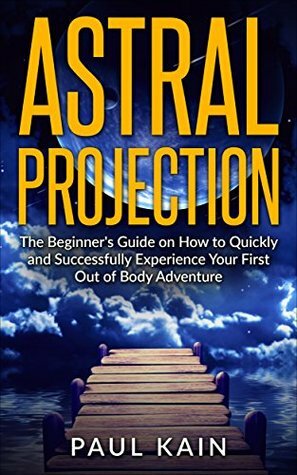 Today I'm reviewing Astral Projection by Paul Kain. The subtitle is: The Beginner's Guide on How to Quickly and Successfully Experience Your First Out of Body Adventure. If you asked me to describe this book in just one word it would be: "Rushed." The book is only 50 pages long, and much of that space is wasted. The height and width are okay. The margins and font are okay, but there's some unnecessary white space. It's not as bad as some, but still. So obviously the author didn't take the time to make it look like a "real" book. Sure, your physical body can be harmed when out-of-body, but you're not any more vulnerable than when you're sleeping. So why even bring it up? As far as I'm concerned, this is just planting seeds of negativity that are counterproductive. Chapter 2 is "The Proper Mindset." The author talks about raising your vibrations, practicing meditation, developing compassion, positive thinking, and so forth: very noble things. It's not bad, but too short. "At this point in time, it is time for you to use your mind to move your soul from your body. You're going to imagine your surroundings while moving your body (with your mind only) to stand up. Try and look at your body that is still lying on the bed or sitting in the chair. It's vague at best (not to mention the redundancy: "At this point in time" and "it is time" mean the same thing). Yes, imagination is the leverage you need to use, but if it was that simple, people would be popping out of their bodies half their waking hours. The whole point of Bruce's Rope technique is the tactile response: Blind people use this technique. You're supposed to imagine how it feels, preferably with (both physical and astral) eyes closed, as opposed to visualizing yourself doing it. Granted, that's still using your imagination, but I felt the description was misleading and fell short. Better to read Robert Bruce's original description. Technique 2 is "Watch yourself go to sleep". I described this in chapter 5 of my first book. First of all, a lucid dream is a dream in which the dreamer is aware that he or she is dreaming. It doesn't matter what they're dreaming. Second, while it's true that a lucid dream is a "sort" of OBE, that description is misleading: My personal belief is that a lucid dream is an OBE in which the dreamer is hallucinating a self-created dream scenario. But Kain doesn't say how they differ until you get to chapter 7. Chapter 4 also contains two more techniques: "Displaced-awareness" which is actually decent, but again, it's not very detailed. It deals with trying to alter your body image and using your imagination to visualize the room from different perspectives. Good ideas, but it needs more detail. "The Jump Technique" is more like little reminders to help you realize you're dreaming and get to the lucid dream state. Chapter 5 is "Meeting Spirit Guides and Other Entities". Again, the information seems mostly good, but cut way too short, and a little bit of fear mongering. Really? According to whom? This is out of the blue and no further details are given. Chapter 7 is "The Link Between Astral Project [sic] and Lucid Dreaming"
I assume he means "Astral Projection" not "Astral Project". Everyone knows I'm a grammar Nazi, but I can overlook a typo or two (as I did with Buhlman's book which I reviewed last time). But a typo in a chapter title is just bad form. The information is alright, but in my opinion, some of the arguments were unconvincing and some important points were omitted. Chapter 8 is "First Hand Accounts"
I assume he means "Firsthand" (one word) accounts. Sigh. Another blatant grammar issue in a chapter title. His narratives are a couple of very generic OBEs of other people. So now you know for sure he's not speaking from his own experience. If he's not writing from experience, what are his credentials? Chapter 9 is "Tips and Tricks"
Like the rest of the book, it has decent information, but not enough of it. So the book is alright; it's just not "good." It's too short, with too little information. Despite the things I pointed out, the grammar isn't bad, and the writing is mature. I didn't find any spelling errors. I'll give it 2 stars out of 5. I prefer books that speak from experience, and this isn't one. If you're going that route, buy a book with more substance, like D.Scott Rogo's "Leaving the Body".